Santería represents the first in-depth, scholarly account of a profound way of wisdom that is growing in importance in America today. A professional academic and himself a participant in the Santería community of the Bronx for several years, Joseph Murphy offers a powerful description and insightful analysis of this African/Cuban religion. 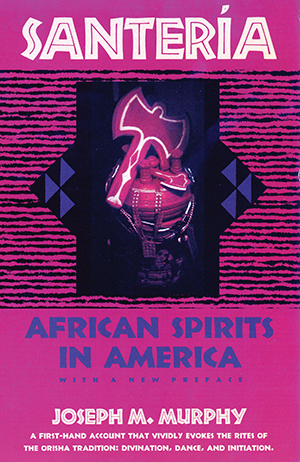 He traces the survival of an ancient spiritual path from its West African Yoruba origins, through nearly two centuries of slavery in the New World, to its presence in the urban centers of the United States, where it continues to inspire seekers with its compelling vision.